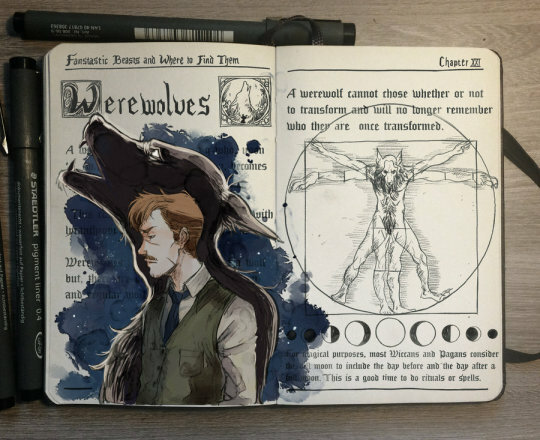 Artist Gabriel Picolo notes that his new series of illustrated book pages are “inspired by spells, curses, potions and other stuff from the Harry Potter world.” I wish these were available as prints, or better yet, an artbook. 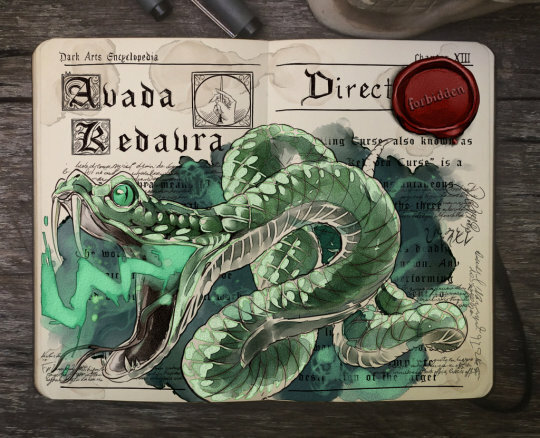 Picolo says he’s planning to keep adding to his Harry Potter book art, so if you want to keep an eye out, here’s the gallery on Facebook. 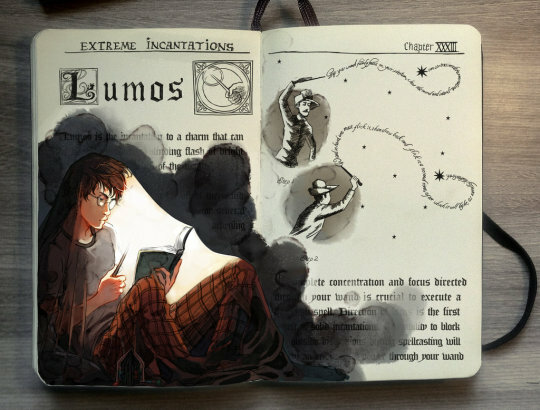 "The Wand-Lighting Charm is simple, but requires concentration. Take care not to accidentally set your wand alight as damage of this kind can be permanent. If in any doubt about your abilities you would do better to buy yourself a magic lantern." 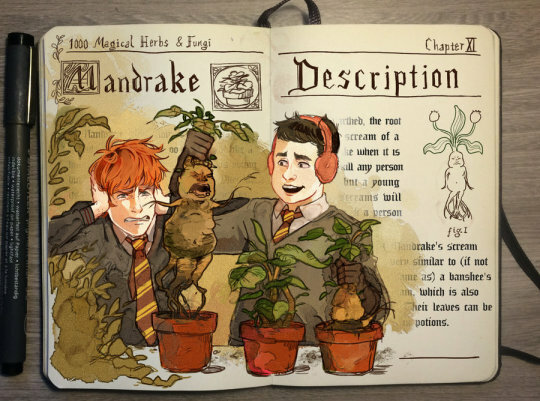 "A Mandrake, also known as Mandragora, is a plant which has a root that looks like a human (like a baby when the plant is young, but maturing as the plant grows). When mature, its cry can be fatal to any person who hears it." 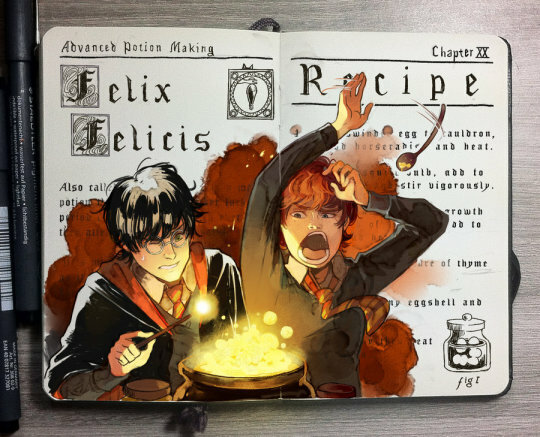 "The Polyjuice Potion, which is a complex and time-consuming concoction, is best left to highly skilled witches and wizards. It enables the consumer to assume the physical appearance of another person, as long as they have first procured part of that individual's body to add to the brew (this may be anything - toenail clippings, dandruff or worse - but it is most usual to use hair). The idea that a witch or wizard might make evil use of parts of the body is an ancient one, and exists in the folklore and superstitions of many cultures. 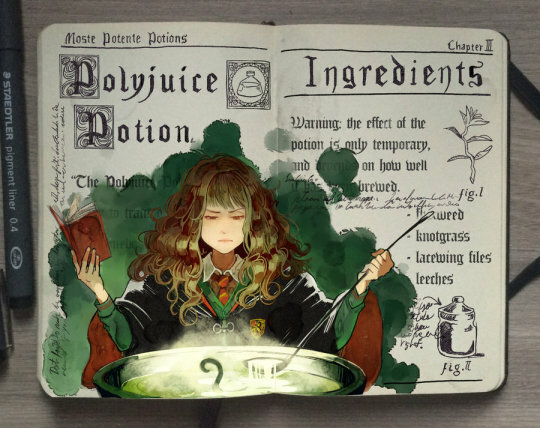 The fact that Hermione is able to make a competent Polyjuice Potion at the age of twelve is testimony to her outstanding magical ability, because it is a potion that many adult witches and wizards fear to attempt." ". 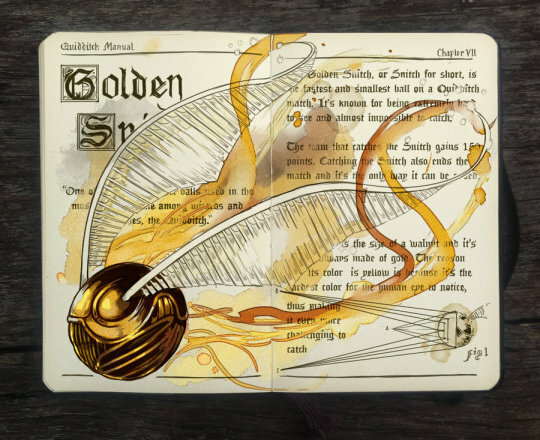 : Harry Potter: Avada Kedavra"
“The Golden Snitch, or Snitch for short, is the fastest and smallest ball on a Quidditch match. It’s known for being extremely hard to see and almost impossible to catch. The team that catches the Snitch gains 150 points. Catching the Snitch also ends the match and it’s the only way it can be ended. ". 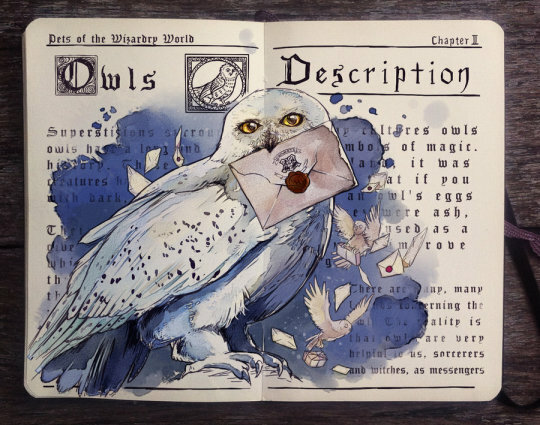 : Pets of the Wizarding World: Owls"
"Also Known as the "Patronus Charm", this spell is particularly effective against creatures witchcrafted by the dark arts such as Dementors. 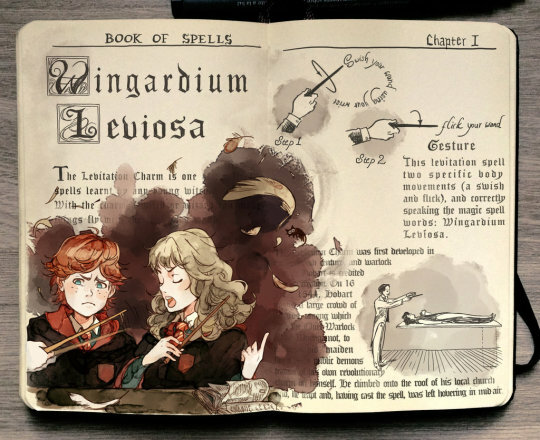 To use it you should hold your wand next to your heart and think about a powerfull memory. The happiest you can remember. 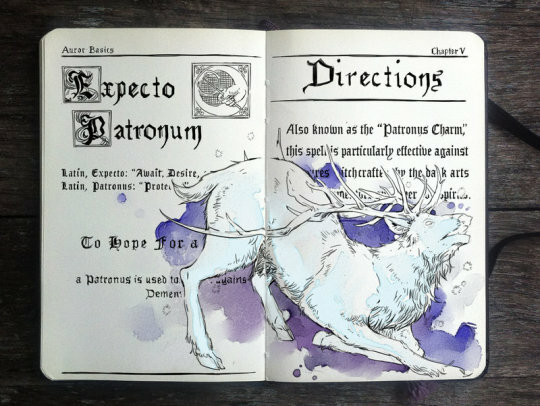 Allow it to fill you up and move your wand forward aiming at your enemy..."